The Skylab project began as the Apollo Applications Program in 1968 with an objective to develop science-based human space missions using hardware originally developed for the effort to land astronauts on the moon. While others worked on the lunar landing goal, the Skylab goal was to stay in space for much longer periods and conduct complex scientific experiments in the unique space environment. An airlock module, which served as a doorway to space for EVA. 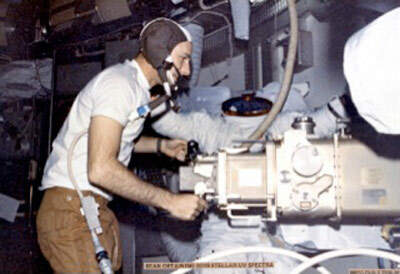 The multiple docking adapter so that the Apollo spacecraft could dock with the workshop and drop off crew and equipment. A payload shroud for the delivery of the Skylab, and many experiments. A series of biomedical equipment that included a bicycle ergometer, metabolic analyzer, lower body negative pressure device, as well as the experimental support system. Marshall had already developed the family of Saturn launch vehicles and provided the SI-B vehicles for the three crewed missions as well as the Saturn V that propelled Skylab workshop into orbit. 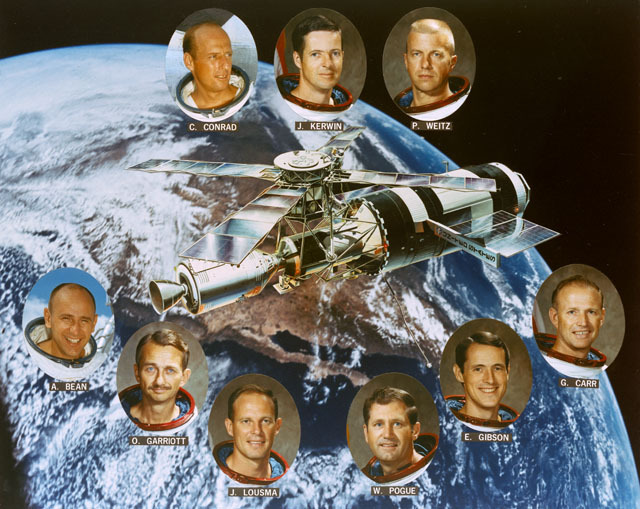 All the Skylab missions were controlled from MOCR 1 which had not been used for an actual flight since Apollo 7 in 1968. 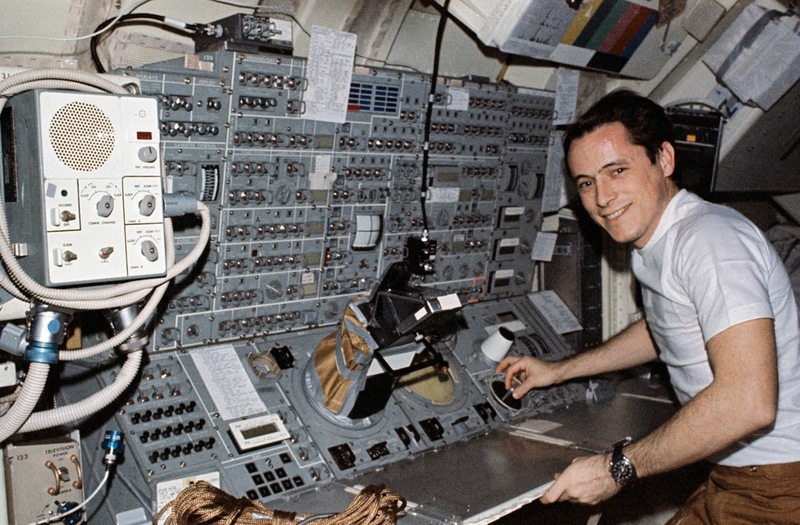 The control center had been modified only slightly to accommodate Skylab. The Saturn V launch was on May 14, 1973 (it was the last launch of a Saturn V). At approximately 63 seconds, the meteoroid protective shield prematurely deployed taking one of the main solar panel arrays with it and jamming the other main solar panel array so that it could not deploy. This left the station with a huge power deficit. 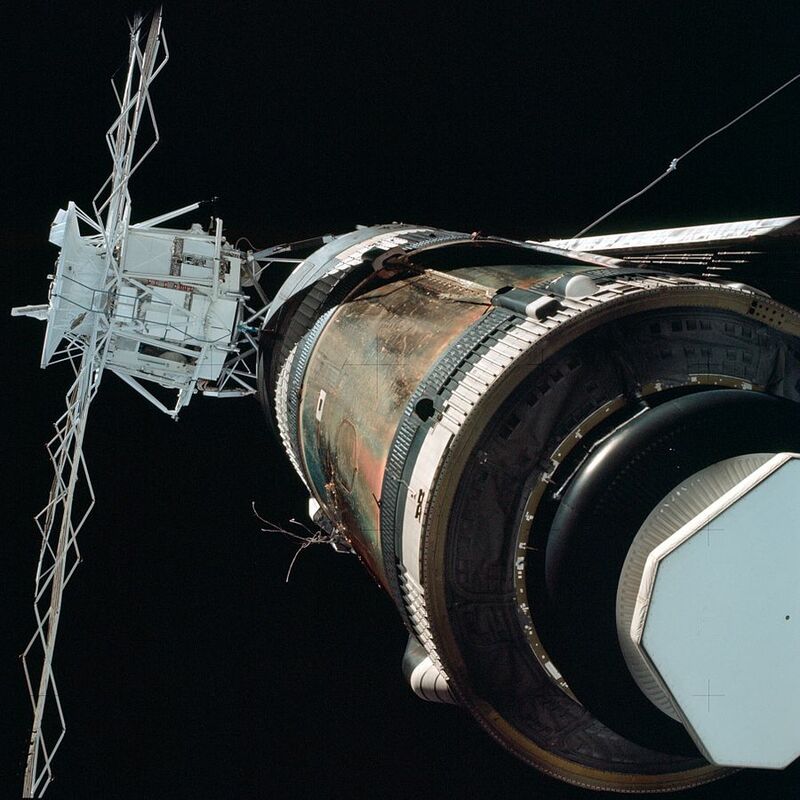 Consequently, the launch of Skylab 2 was postponed. The NASA-industry team developed plans and hardware necessary to deploy the stuck solar array. A square thermal shield, which operated like a sunshade was also developed to protect the station from the heat of the sun. 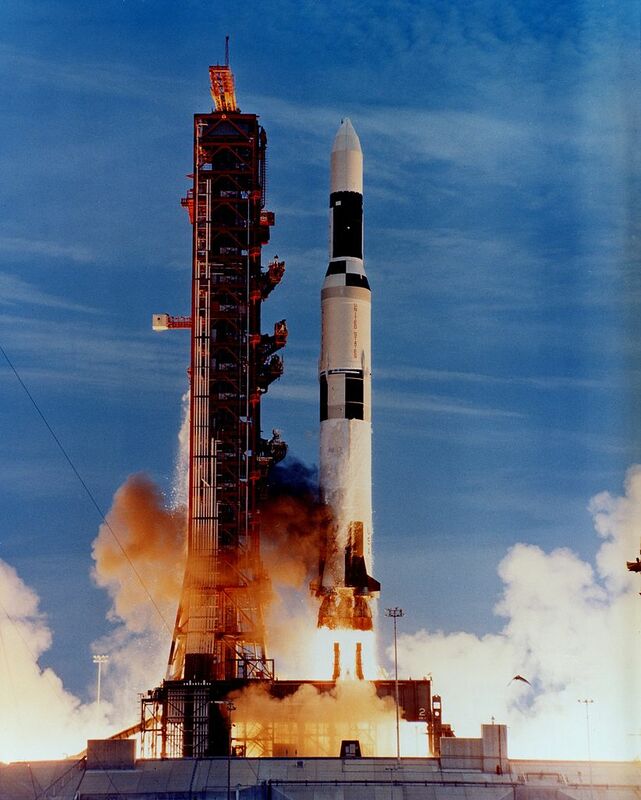 SL-2 (an Apollo CSM) was launched on May 25, 1973 atop a Saturn IB. (This would be the last launch from LC-39A until SpaceX CRS-1 launched on February 19, 2017). The initial mission made extensive repairs to the station. 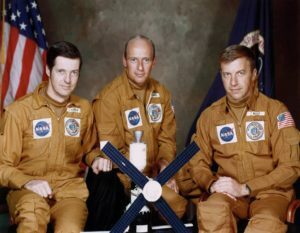 The crew, Pete Conrad, Joseph Kerwin and Paul Weitz deployed a parasol-like sunshade through a small instrument port from the inside of the station bringing station temperatures down to acceptable levels and preventing overheating that would have melted the plastic insulation inside the station and released poisonous gases. The crew conducted further repairs via two EVAs. 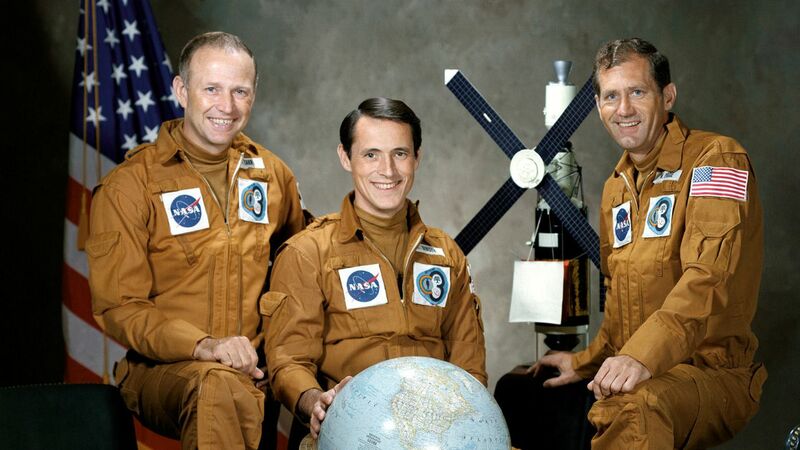 The crew stayed in orbit with Skylab for 28 days conducting experiments. SL-4 launched on November 16, 1973 with astronauts Gerald Carr, Edward Gibson and William Pogue. 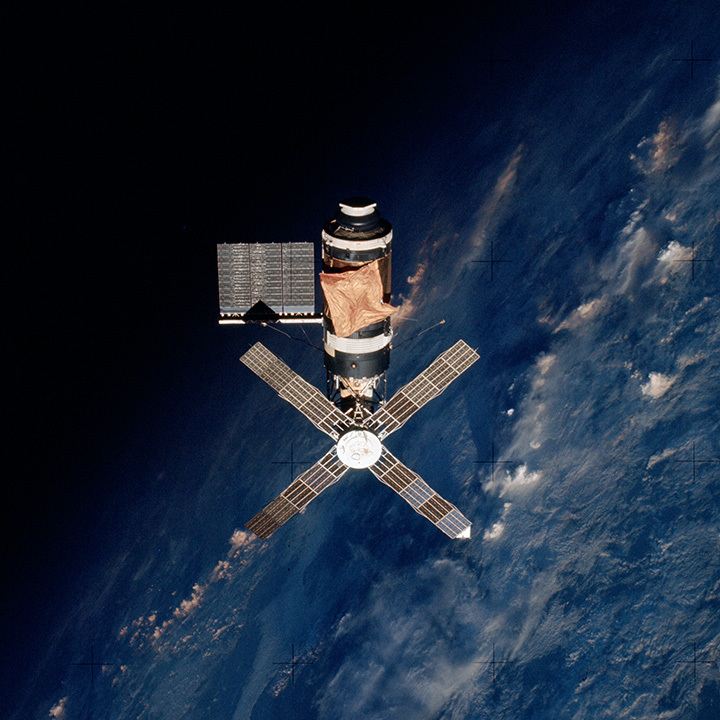 Skylab 4 originally was planned for a mission of about the same length as Skylab 3 but was extended. 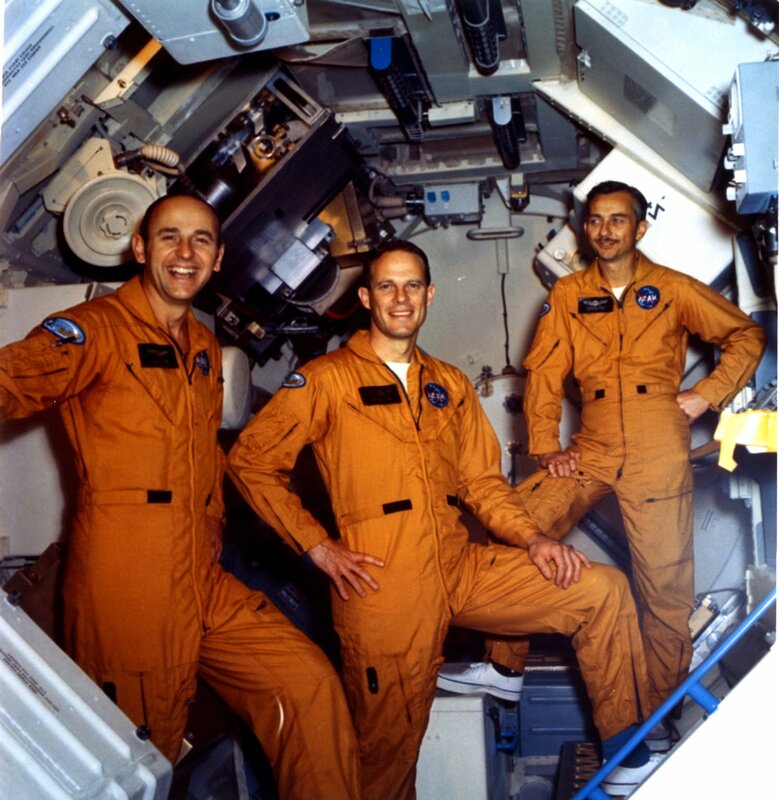 During their 84-day mission, the Skylab 4 crew continued the programs comprehensive research experiments. SL-5 was to have been a short 20-day mission to conduct more scientific experiments and use the Apollo's Service Propulsion System engine to boost Skylab into a higher orbit but it was cancelled. The crew members who trained for the flight were Vance Brand, William B. Lenoir and Don Lind. This mission was planned but never required. The crew members included Vance Brand and Don Lind. Before SL-4 left Skylab on February 8, 1974 they did one more boost, running the Skylab thrusters for 3 minutes which added 6.8 miles (11 km) in height to its orbit. Skylab was left in a 269 x 283 mi (433 by 455 km) orbit on departure. At that time, the NASA-accepted estimate for its re-entry was nine years. While there were several plans to revisit Skylab; possibly with the Space Shuttle but none of them came to fruition. In the hours before re-entry, NASA flight controllers in MOCR 1 attempted to adjust Skylab's trajectory and orientation to try to minimize the risk of debris landing in populated areas. NASA's attempted target was a spot 810 miles (1,300 km) south-southeast of Cape Town, South Africa in the Indian Ocean. Skylab's atmospheric reentry began on July 11, 1979. 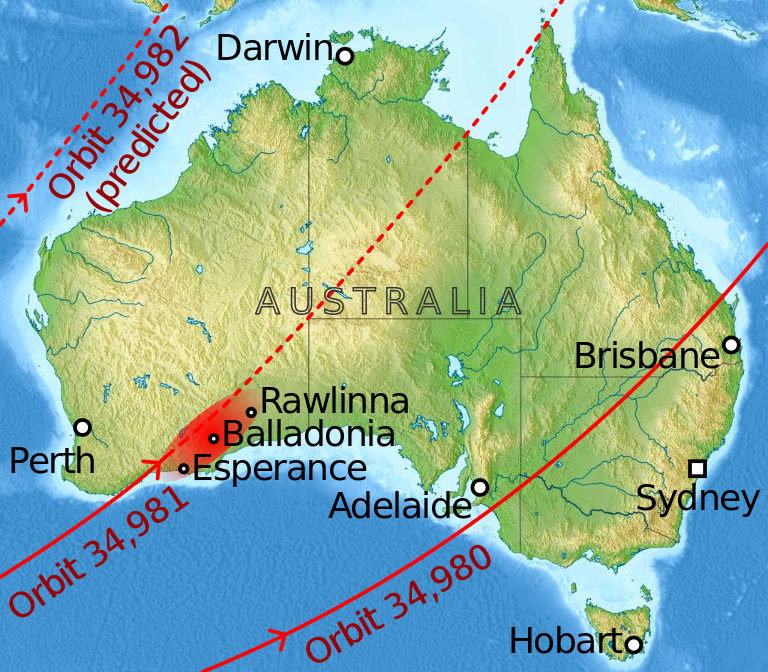 Skylab did not burn up as fast as expected, and debris landed southeast of Perth in Western Australia, resulting in a debris path between the towns of Esperance and Rawlinna. (There is a Skylab museum in Esperance with many salvaged pieces). Analysis of some debris indicated that the Skylab had disintegrated 10 mi (16 km) above the Earth, much lower than expected. Over the course of Skylab from May 25, 1973 to February 8, 1974, three crews, each with three crewmembers, visited Skylab and carried out 270 scientific and technical investigations requiring 90 different pieces of experimental hardware. Research spanned the fields of physics, astronomy, and biological sciences. The three Skylab crews logged over 41 hours of extravehicular activity and a combined 171 days on orbit, travelling more than 70 million miles. The third Skylab crew lived in space for 84 days, which at the time was a new record for the longest human stay in space.